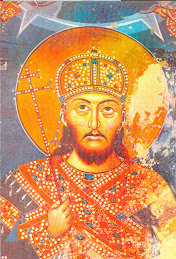 ﻿Aleksandra's Note: As royalty goes, King Peter I of Serbia is one of my favorites. 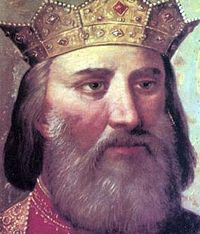 Though he reigned over a century ago, he remains to this day one of the most beloved and popular monarchs that ever ruled over a people. 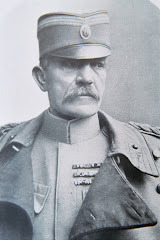 Born on June 29, 1844, he lived to be 77 years old and died on August 16, 1921, while King (and "founding father") of the "first Yugoslavia" (known at that time as the "Kingdom of Serbs, Croats and Slovenes"). 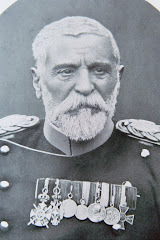 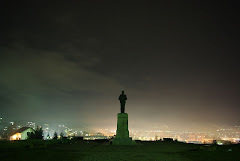 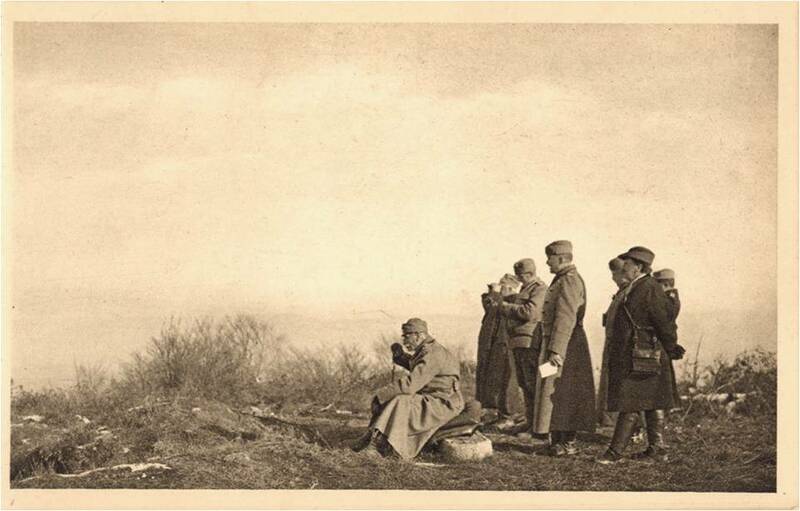 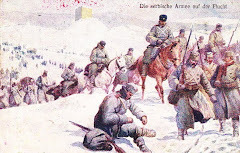 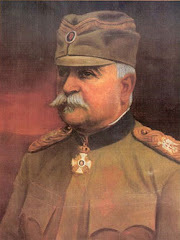 Prior to that he was King of Serbia from June 15, 1903 to December 1, 1918 and his very real presence on the WWI battlefields and landscapes, though he was not in good health, remains the stuff of legend. 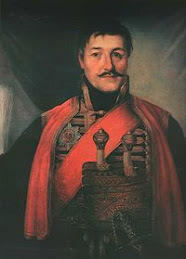 He was succeeded by his son Alexander I Karageorgevich, who would become King Alexander of Yugoslavia. 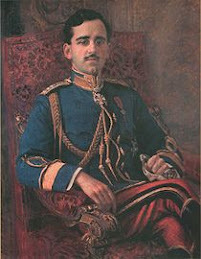 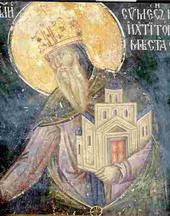 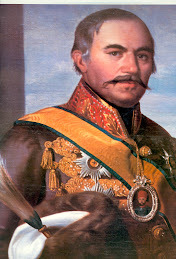 The legacy of the Karageorgevich dynasty of Serbia continues to be felt to this day, and many yearn for the return of the rule of the Monarchy in Serbia. 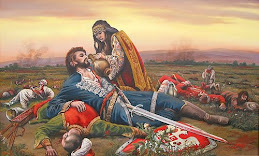 Below are some images I hope you enjoy and will make you curious about this "bigger than life" ruler, who was as modest as he was great. 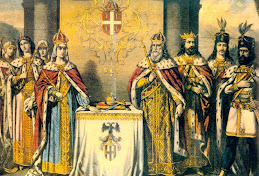 In the center is his wife Duchess Zorka of Montenegro. 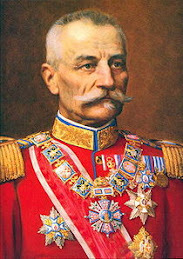 King Peter I immortalized on the Serbian 5 Dinara coin in 1904. 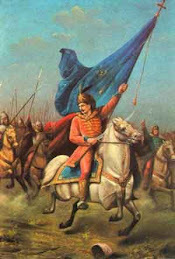 On the other side of the coin is the classic Serbian emblem.